The first thing anyone does when planning a wedding is deciding on what colors they’d like for their wedding. 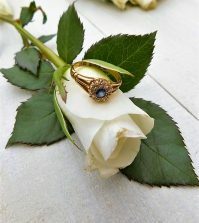 Usually, women already know the answer after the ring is slipped on their fingers, but there are a few who have no idea what color combinations they’d like to use for their special day. Thinking up the perfect color palette shouldn’t be stressful but fun! Here’s some great tips on how to choose a winning color combo that will dazzle all and help make your big day beautiful and special, just like you dreamed of the day you said yes! Most go off of their favorite colors. Many love pink, while others may adore lavender or lilac. To help if choose colors, make a list of your top five favorite colors. 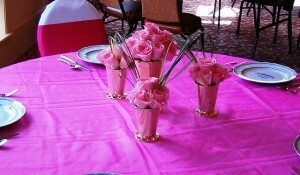 Then slowly go through the list and start picturing your cake, flowers, centerpieces in that very color. Does it appeal to you? Maybe a lime green won’t look so great for bridesmaid dresses? 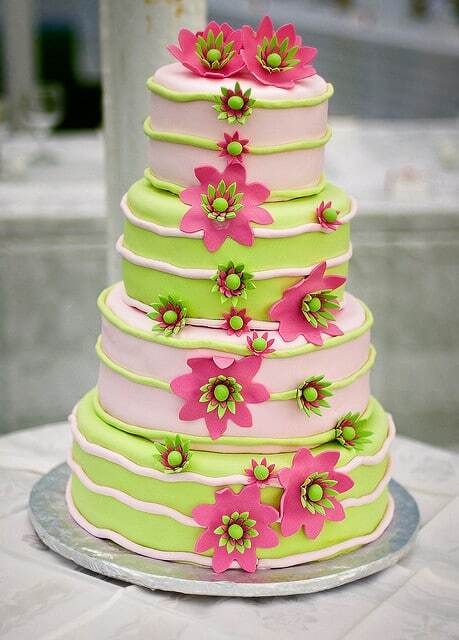 But your next color on the list, a pale green would look lovely for and early spring wedding. Also be aware of color combos you’re interested in. Maybe there are two colors on your list that would look fabulous together! To make an educated decision on colors and see them in person, visit a local fabric store and collect color swatches or chips of colors you’re thinking of using. This way you’ll know the exact name and shade you’d like to use so it won’t be mistaken for a regular green or blue. According to The Knot, getting access to a Pantone book, which is a collection of colors that graphic designers use for their work, will provide great insight on all the different variations of the hues you like. Another great way to choose your wedding colors is to think ponder what type of mood or emotions you’d like your wedding guests to feel at your big day. 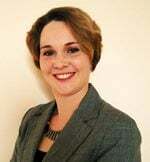 Are you going for a high-energy party or maybe you want something more romantic? Pinpoint what type of aura you’d like to create and think of colors that will help evoke those feelings. These days, the traditional rule of just white for your wedding dress is totally outdated. You can add splashes of color with a silk sash or make a bold statement with colored heels. Whatever it is, you can easily and beautifully incorporate your wedding colors into your wedding gown. If you’re thinking about doing this, imagine what colors you loo good in and then test out sashes at a local wedding shop to see what you’d like the rest of your wedding decor to be. If you already know the type of cake, flowers or invites you know you want to have for your wedding start looking at how your color combos will match with them. You’ll be able to find flowers in any shade you choose so that’ won’t be hard, and decor accents come in all colors of the rainbow these days, so you’ll easily find matching coordinates. 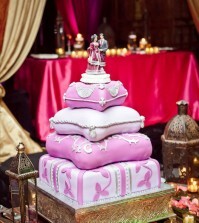 As for the cake, color reigns supreme here and it’s an great way to incorporate your wedding’s color combination. 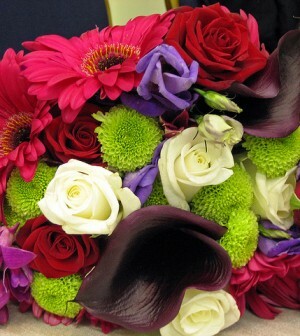 Once you pick your wedding colors, the rest of the planning should be relatively simple. 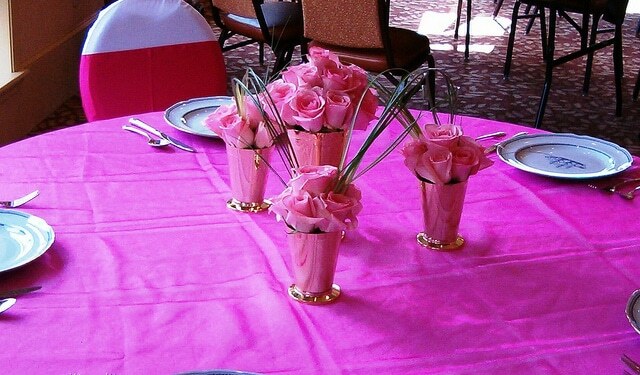 Head over to www.BestForBride.com for a wide selection of wedding decor in every color imaginable, in addition to hundreds of beautiful wedding dresses and gowns for the entire wedding party. Best For Bride is your one-stop shop for all your bridal needs! I loved the cake. Mixing and matching colors in varying shades, like pink and orange its sometimes make a statement stronger. Just try it and you’ll know the perfect color for you wedding. I love these ideas! I’ve been struggling to find the right wedding color combination, but I think I may be headed in the right direction now. I think it’s interesting how the popular colors change over the years. A lot of my friends have gotten married recently, and where the colors used to run more to pastels, lately I’ve seen a lot of green and orange combinations, as well as blue and brown. They always pull it off, and I’ve yet to see an unattractive reception, but these are certainly not the colors I’d choose. I guess to each his own. Isn’t it great that people are free be so creative anymore?